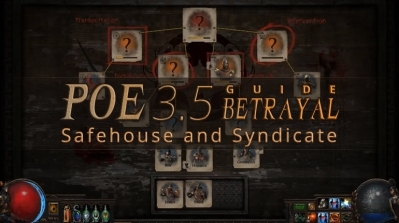 PoE has released its new league 3.5 Betrayal. In this league, GGG not only adds new content on the game, but also implementes substantial reforms on Master system, which attracts many players' eyes and they cannot wait to explore the new league, Betrayal. Before that, if you are looking for a starter build for PoE 3.5, here comes a selective collection of PoE 3.5 builds. In addition to the excellent builds, you may also need some necessary equipment and currency to ensure your better game experience in PoE 3.5. Poecurrencybuy always provide the most convenient and first-rate service, which is the best place for your purchase of PoE 3.5 currency. Yes! 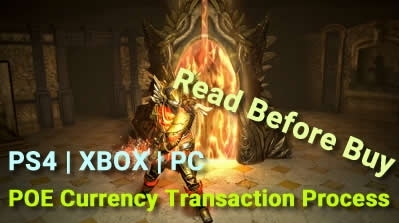 Like above, we also provide currency(Xbox) to support players' appreciation on PoE on Xbox. It's not easy to find a powerful and suitable build and players need much time to explore the game and build a satisfactory build. We have selectived many builds for players. 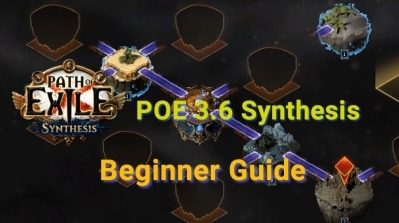 Here are excellent and popular poe 3.5 builds and they must be helpful. We replenish our stock steadly all the time. All products accessiable will be delivered to you in the shortest time. Here is the visual statistic. 90% of the orders are completed in 1-5 minutes, and 8% order delivery 5mins ~ 10 mins. You may find few orders have more than 30mins delivery time. We will explain the reason and how to deal it. Players are offline. We will contact you in the game constantly until the order is completed. 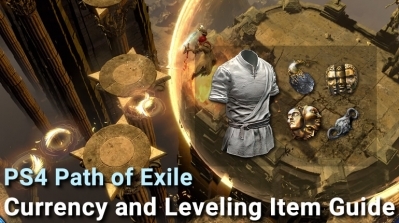 Read the normal problems above will help you receive your poe 3.5 currency in time and free you from a long waiting time. If you have not receive your currency within 20 min, please check you payment mailbox and contact us by our livechat. 1. Add your expect number of poe 3.5 currency into shop cart. You can also choose pay for different types of currency together. 2. Leave your email to receive your order information. 3. Leave your character information and league. Any problem in your order can be solved by contacting us on livechat on our website. If you have any suggestion about our service and our website, you can email them to [email protected] We are looking forward to your letters! 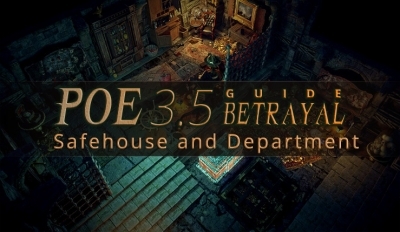 Following the last introduction of some of the basic mechanisms for POE 3.5, I decided to go into more detail about the mission part of the safe house and attach a simple guide. 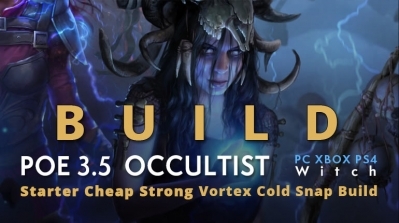 POE 3.5 introduced a new way to scale the cold spell - cold damge overtime multiplier, coupled with the new Occultist nodes, it basically doubles the damage of cold damage over time skills. This build is life based because it is a league starter, and so that we can buy cap resistance and at the the time find more damage on gear more easily. This builds have great map clear speed and serious firepower with very low investment. You can choose it as your end-game build (need very good reflexes for end-game though! This build have great single target damage without Barrage or Elemental Hit and great clear speed with usual high Pathfinder mobility, no need to PIERCE heavily, like in CA setup. REFLECT IMMUNE! As the best poe currency website. We will not only provide cheap poe currency for POE players, but also update new content and superior guide about POE persistently to serve player in all dimensions. 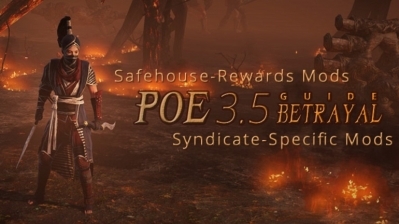 Today we bring the latest guide about Safehouse-Rewards and Syndicate-Specific Mods for every poe player. 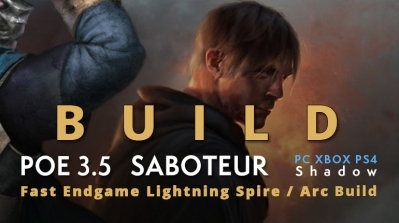 Betrayal has been released for some days and many players have explored the game deeply. But still some players don' t know the practical meaning of Syndicate. 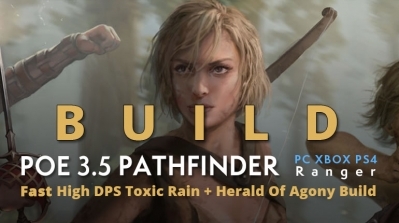 Fo this Poecurrencybuy write the concise POE 3.5 Betrayal Guide to help you blend in the new league.